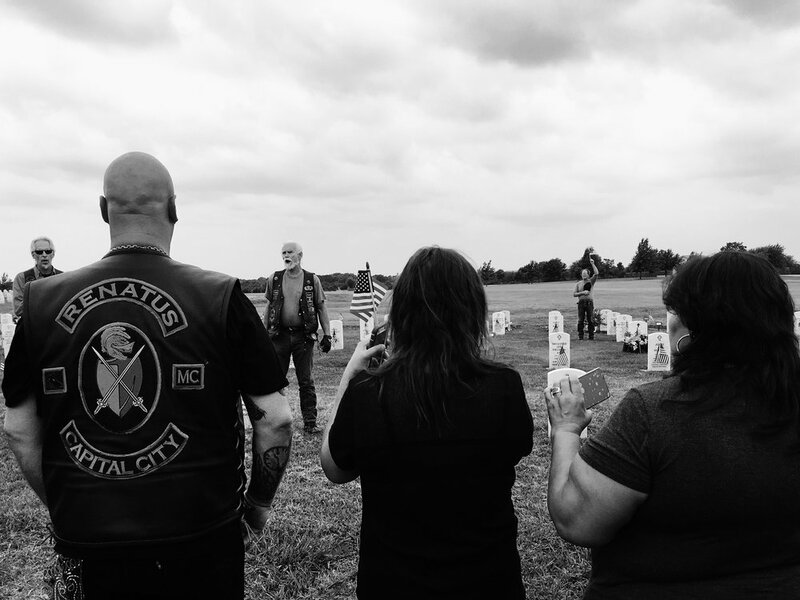 Central Texas Harley-Davidson did a group ride yesterday morning to the Central Texas State Veterans Cemetery in nearby Killeen, TX. I went along on the ride as it was a good opportunity to take part in an activity that honors what Memorial Day is all about - remembering those who served our country in military service and have passed on, particularly those who sacrificed their own lives while defending the rights and freedoms of others. The group met at the dealership and after a safety meeting we hit the road for Killeen. The overcast skies kept the sun from beating down. The humidity made for a muggy tropical climate that had me sweating profusely under my mesh riding jacket. I wasn't complaining. Once at the cemetery, our ride leaders said a few words of remembrance. A chaplain with the Christian Motorcycle Associate said a prayer. The group sang our national anthem. 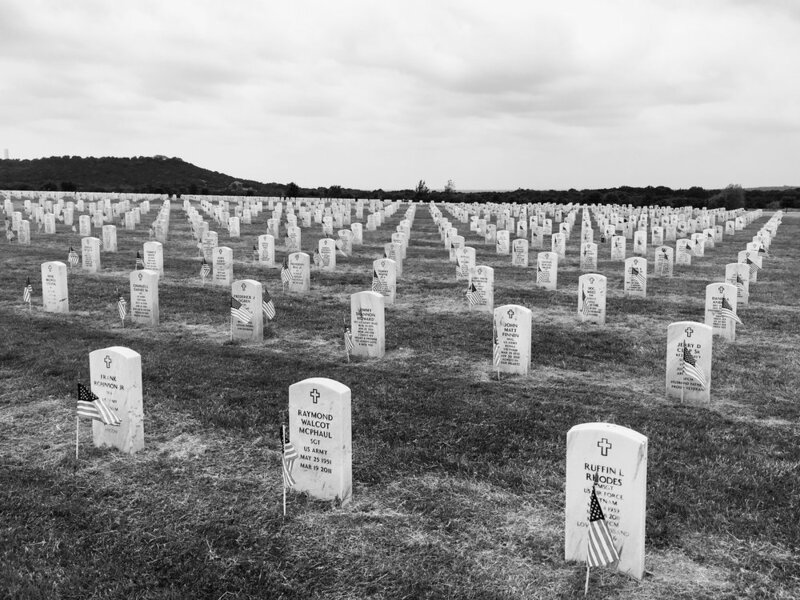 We walked some of the countless rows of headstones and placed flags as a small token of thanks. A few tears ran down the cheeks of some of the bikers who are veterans themselves, as they remembered their buddies who didn't make it back. As I walked amongst the headstones, I notice the inscription on the grave of Private Clarence Lee Carr. I don't know anything about this soldier but he was someone's Paw Paw. My Paw Paw passed away many years ago. He made it through WWII and the Korean war. 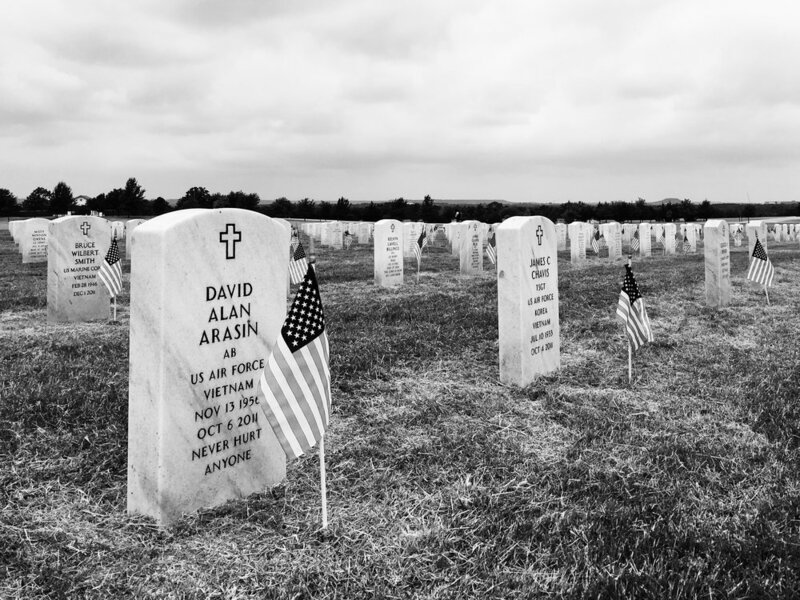 I won't be able to visit the grave where he and my grandmother (also a veteran of WWII) were laid to rest. I chose to place my flag at Private Carr's grave. Thank you for your service, Paw Paw.